What are the different Google AdSense Products? Many of you will know what Google Adsense is, but there will be many people who have no information about different products of Adsense. Through the Google AdSense program, these publishers provide an opportunity to monetize all their types of online content. So that they can get the right remuneration for their hard work. Whether you have a content website, or a mobile app, or a gaming site or a video hosting site, everything can be monetized using Google Adsense's different products. If we talk about the first time then Google used to be the first separate service for mobile phones. But later Google turned off the AdSense ads for mobile ads, because content ads can be optimized, which supports smartphones devices like iPhone, iPad and Android phones. From now on one thing becomes clear that only one Adsense account cannot be monetized for all types of content. It is therefore important to know what is the different products of Google Adsense and how and where they can be used. Therefore, today I thought why you should also introduce people to other products of Adsense so that you know about it and you can use them correctly. So let's begin without delay. 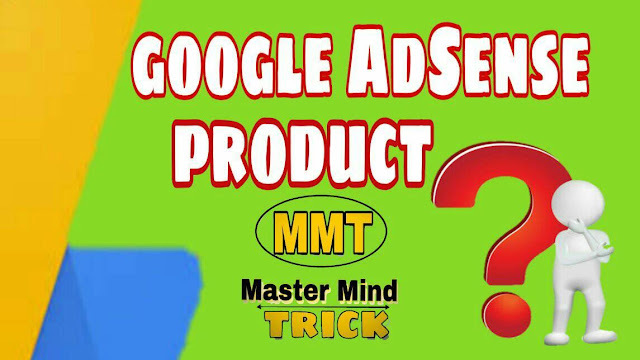 Now let's know about all the different Google Adsense products. 1. What is AdSense for Content? Adsense for Content means Adsense Account for Online Contents. Any publisher who has its own website can apply for an AdSense program and can turn money into its online content. Since Google is a very big tech company in the world, it can easily bring billions of advertisers to its publishers who can deliver high paying ads to its publishers. For this, just have some decent traffic in your site and should follow your site AdSense policies. In this case, Google's Adsense approval is easily available on your site. 2. What is AdSense for Search? This allows users to search the web directly from your web pages using AdSense for search. All you need to do is place an AdSense space for the search box in your site and you can easily generate earnings from ad clicks that your users do in search results pages. If you have a content site, then you are free You can use Custom Search Engine product in your AdSense account to provide better Google search results to users, as well as targeted search ads. If you are operating a search based site, then you can use Custom Search Ads with your own search results. Using both the AdSense for content and Search box together will get a good boost in your revenue. This is Google's very best product that allows you to view video ads, image ads and text ads to your users in your HTML5 online games so you can earn a lot of revenue. In AdSense for games, it uses Google's Interactive Media Ads (IMA) SDK, a technology that helps you to request ads in your games. Most leading gaming publishers in the world use these IMA SDKs to request and display in-game ads. If you want to use AdSense for games, then you have to be technically proficient in ActionScript and it will be ensured that you are aware of all the IMA terms. You can only integrate AdSense for games into web-based Flash games. All your content should be family safe and should be targeted for people aged 13 and above. It is very important to have this information so that you can track back all the embed destinations and you must have complete control of the game distribution. You must have legal rights to monetize the game. 4. What is AdSense for Videos? This allows publishers through AdSense for Video to display viewer-friendly video advertising in your video sites. Publishers can earn revenue in it by displaying in-stream video ads, flash overlay ads, and text overlay ads. You can Monetize Your Video Site by placing inline video ads. This allows you to come in contact with many global and local video advertisers around the world. This lets you easily manage your video ads. As we all know, Blogger is a free platform from Google, which offers publishers the ability to write and publish content. The best thing about this is that you can automatically integrate it with an AdSense account with Blogger and you can easily make money from your post. As soon as Blogger, Google also allows you to monetize your videos on YouTube, which are hosted on YouTube. You can easily monetize those videos, you just have to get the approval of Adsense Account for it. And if you meet all the terms and conditions of Youtube then you can earn a lot of it. AdMob is an additional product which is offered by Google except for Adsense. AdMob is used to show inline ads in the mobile app. With it, you can easily integrate and earn a great deal in your Android Apps. Now you have come to understand that Google gives you an opportunity to show ads in all possible ways in your online content. That's why you recommend this thing that if you want, you can create a website or an app for yourself and you can get good traffic in less time, after which you can apply for an AdSense account. Once approved, you can display ads on your site according to the Adsense policies. I hope you have liked this article about the products of Google Adsense. My always efforts are to keep readers informed about Adsense Products in Hindi so that they do not need to find any other sites or internet in the context of that article. This will also save their time and will get all the information in one place. If you have any doubts about this article in your mind or you want some improvement in it then you can write down comments for it. If you liked this article or got to learn something, please share this post on Social Networks such as Facebook, Google+ and Twitter. very nice information thank u so much for sharing such a valuable information.